Hit a brick wall in your genealogy research? Frustrating right? Well, here I want to give you my top 10 tips that will help you when it comes to breaking down brick walls. These tips will help you overcome them and show you how to carry on finding out about your family history. Encountering brick walls are inevitable! There will come a time when you will face a brick wall. It is just one of those things that all genealogists will encounter. But rather than accept defeat you can use these tips to break them down and find out more about your ancestors. My number one tip when it comes to genealogy research is to visit your relatives or anyone who knew your ancestors. You will be surprised as to how much that you will learn from them. And the information that you will get from them will be priceless! When visiting your visitors you may want to give them a small gift as a thank, such as flowers, chocolates, or whatever you think that they may like. It is only common courtesy as they will give you so much knowledge that you can use. They have information that may not have been recorded. They may have already started tracing the family’s history which you can use and build on. They have certificates, records, photographs and other heirlooms that will help with your research. Family occasions such as birthdays, Thanksgiving, Christmas or reunions are a great opportunity to ask your relatives for help. You can also use these events to let them know about your progress too. They will definitely want to know how you are getting on. Also, as you progress with your research they may continuously help you along your family history journey. I have been surprised as to the new information that my father has passed onto me as he remembers old stories and people. I bet it even surprised him as well. Check out: My Top 20 Family History Interview Questions post! Following on from the previous tip you can get help from experts in the field. You can find these people on social media sites such as Facebook, Google Plus and Twitter. Pinterest is also a useful source for guides and tips that will help you with those brick walls. 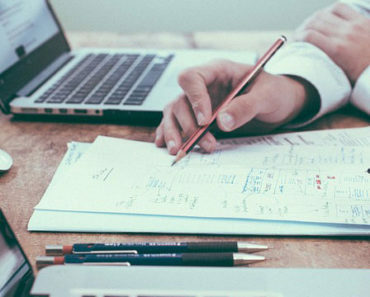 Many genealogists have their own blogs that not only discuss their recent findings, but also give you practical tips that they have learned along the way. They can give you advice on many different subjects such as which sources you can use and how to use them. We all start from somewhere so why not learn from the experts. This will help us not to stumble on our family history journey. When we are researching our ancestors it is too easy for us to come to conclusions before we even have all the facts. We seem to be in a rush to collect all the names, dates and places that will help us build our family tree. I know because I was like that when I first started tracing my tree. I wanted to gather all the details. I wanted to know my ancestors names and build my family tree higher and higher. But we can get caught in the moment. So, it is important to check the facts before we can think about adding a person to our tree. I often would look at members trees found on the Ancestry website. This source of information is great as it can help us fill in the gaps. Also, we can add many generations to our tree with this method. But too many of these trees will contain mistakes. This is because they haven’t checked out their sources. They were probably also caught in the moment. So, my advice is to use these trees as a guide and do not treat them as gospel. Following on from the previous tip you want to check the information that is contained within the records. When I first started genealogy I was too eager to find any records about my ancestors. Because of this eagerness to record just names and dates I often overlooked information that was staring me in the face. I would collect names, dates and places as I have already mentioned, but I did not look at other information that would help me. I didn’t see the full picture of my ancestors lives. For example, during the early stages of my research I couldn’t find a particular ancestor. I just couldn’t find out when he had died. But if I had looked closely at the censuses and saw that he wasn’t listed for one of them then it could have helped me narrow down my search. It was an easy mistake to make, but I was new to the world of genealogy. Start writing your findings. You will be surprised as to how much clearer the information is when you have written it down. This method helps you to digest the records and certificate and helps you make sense of it all. For me this method has helped me to join the dots and help me make connections. 5. Check Your Research – Again! 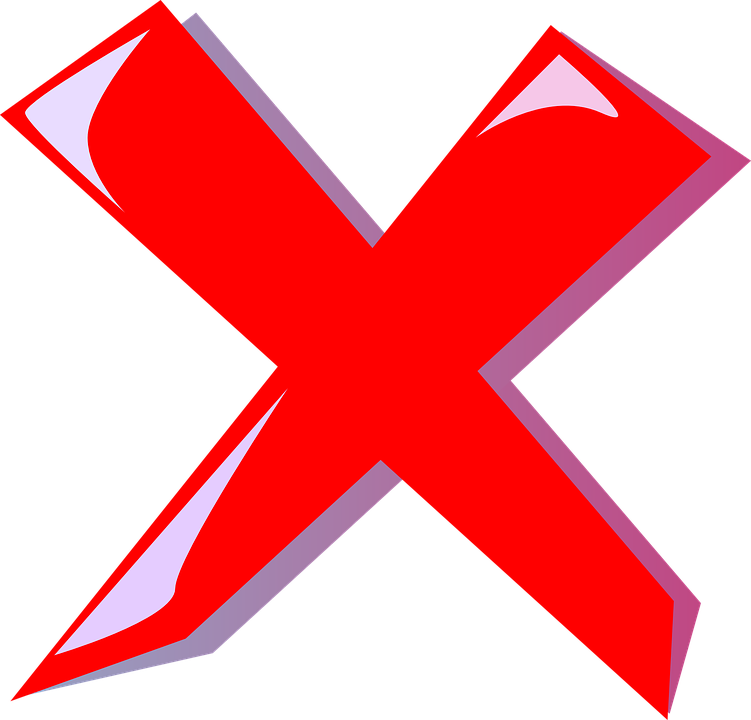 You will be surprised as to the number of errors that will crop up during your research. This will be from your note taking or entering information into your genealogy software. For me the reasons for these errors may have been the late nights researching my family history after a long day at work. I would trace my ancestry late at night because that was my only opportunity to do so. Unfortunately by doing this I sometimes may have entered a name or a date incorrectly into my program. 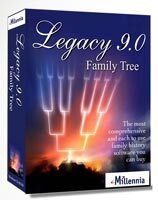 These programs to genealogists are useful but unless you put in the information correctly then they can be pretty much useless. It doesn’t hurt to go over the names, dates and places and any other information that you have entered again, and maybe again and again. By doing so you may overcome that brick wall. Or, if you have been staring at your brick wall and your records for far too long why not ask someone to look over it. Genealogy is a hobby where you need to be organized. There is no denying that. You need to know what details you have collected thus far about your ancestors and where you have found this information. You also need to know what you want to find out next and where next that you want to go. But to do that you need to be organized. You can keep paper files and folders for all your research. You can have a folder for each branch of your family. That is what I have done. It helps me keep my family tree in order and organized. By doing this I can find any ancestor I want to look at fairly quickly. When we start researching our ancestry we can build our family tree by collecting birth, death and marriage certificates. But we can find out more information about our ancestors by checking out record collections as well. You can find these on various genealogy search websites such as Ancestry, FindMyPast and FamilySearch. Genealogy sites WILL help you! These sites contain other useful records that will help us build up a picture of our ancestors’ lives. You can find electoral registers, immigration and travel records, military records, school and church histories, and much more. There is plenty of information right at our fingertips. We just need to look for it. Although it can be quite daunting sometimes as to the amount of information that we can find about our ancestors. My advice is to just take your time and look at one record collection at a time. If you do not find what you are looking for on these sites then you can always check back at a later date. Records are continuously being added to these genealogy sites, so it is worth checking them out again in the future. Our ancestors may not have been recorded with the same name. This may have been the result of an error by the registrar or by the church minister for example. Often names were spelled as to how they sounded. Chances were that your ancestors may have been recorded with many different spellings during their lifetime. Also, the people transcribing records such as censuses may have entered your ancestor’s name incorrectly. This may have been due to the fancy writing of the enumerator. You can find many examples of this on genealogy search websites such as Ancestry. So, it is worth paying close attention to the digital images of these records. The transcriber of these records will not have been familiar with your ancestor. Therefore, they will not have known how to correctly spell your ancestor’s name. Even a place name or date of birth may have been incorrectly transcribed. You will be surprised as to what you will uncover by doing so. This tip has been particularly helpful to me. I have found various census records and also certificates from using this tip. I may not have been able to dig any further without using this tip. You may have become stuck researching your family history because you do not even know where to look. Even if you do know which resource to check you may not know how to uncover the information that you are looking for. Chances are that our ancestors made the decision and emigrated to make a better living for themselves. They could have fled their homeland because of either hostility or poverty, or maybe even another reason. 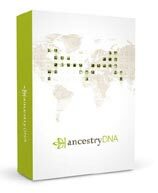 I have comprised a useful collection of guides that will help you trace your ancestry from various countries. Countries such as Britain, Canada, Germany and Ireland, and more are included. Click here to find your roots where you will find many books to help you research the homeland of your ancestors. Whenever we start a new hobby we definitely not know all of the ins and outs. We will start from scratch and will learn useful methods, skills and strategies along the way. We will also learn where to look and what information is out there about our ancestors. Get a guide … book! Even the more experienced genealogist can learn from a useful guide book. Genealogy is such a wide interest and because of this there is always something new to learn within this field. Guide books can teach us the basics about genealogy, as well as what DNA testing is all about and how we can use genealogy search websites. So, please check out my 10 More Tips To Breaking Down A Brick Wall post for even more help. I hope you enjoyed these top 10 tips for breaking down brick walls in your genealogy research. If you have any questions or comments then please leave a comment below. This is a great website. Most informative. I like how you have organized your content. The content is so interesting I’m sharing it with those I know. I look forward to spending some time here. I have tried to present this post and this website in a structured way. I want to make it easy for genealogists to find what they are looking for quick and easy. I am glad that I have done this for you. My relatives know so much about their ancestors but they are generally reluctant to tell me about it. It is frustrating to talk to them about the subject but I will try again when they feel good 😉 Great tips Owain. They may have reservations about what they share and who will see your research. I know what that’s like. You can just reassure them that only family will see what you have done and no one else. Also, you can assure them that if they do not want to share anything that they are not comfortable with then they don’t have to. Great article! A few years ago I started tracing my family tree on ancestry.com. I really enjoyed it and was a lot of fun but I did notice that I would jump to conclusions to get back as far as possible in a short amount of time. I now realize that I should’ve taken everything slower and really got good information about each person before moving on to the next generation. I also noticed the spelling variations on names due to error like you mention and last name spelling even changing. By checking different spelling variations I was able to find more of my ancestors and not get stuck. Great trips for moving over barriers! You seem as eager as I was when I first started researching my family history. It is all too easy to get names and dates but neglect the authenticity of the sources. We just want to build our tree as much as we can and sometimes errors will creep in due to our haste. We can still have fun with this, it just takes time. Although I can understand why people want to do it as they want to gather information as fast as they can. We live in a world where we are always rushing around. We just need to learn to take our time with this hobby. Great tips, Owain! All are explained well and packed with information! Your passion for building your family tree really shows through your site! I am glad that my passion does show as I really want to give back to the genealogy world. I had so much fun finding out about my ancestors that I wanted other people to experience the same. It is a fascinating hobby. You can chose how much you want to delve into and discover. And you just don’t know what you will unearth during the process. hi I just finished reading your article it was really easy to understand and elaborate thanks for sharing the amazing tips. Thanks for finding it easy to understand Alham. I have tried to lay it out simply so you can follow it easily and you can find the information and tips that you are looking for. All the best with your family history. Hi Owain, what a great site and thanks for all those tips on searching for your ancestors. I will come back to it when I help my partner research hers. My brother is passionate about the subject and he had many trips to the archives and to graveyards and churches. It somewhat like a detective story. It takes time to unravel. You’re very welcome Roux. Visiting graves and churches is also a good way to tackle brick walls. If you’re unsure about your ancestors then you can always try to find their grave. If you’re fortunate to find them you can get useful information from their grave. I am planning a further post containing 10 more tips to breaking down brick walls, so I’m sure you will find those tips useful as well. Great tips Owain. It’s a good exercise for every family to go through. Family history is so very important. An uncle on my wife’s side started a FB page with he original 10 members of his parents family. He dug out a picture of his brother at the family name’s 500 year birthday celebration. That being the LeBlanc name arriving in Canada from France. It’s pretty amazing stuff when you get right into it. Really well done, thanks. Thanks Peter for dropping by and commenting. It is a good exercise for any family as you say. Even if you only go back 2, 3 or 4 generations back you can still find out a lot about your ancestors. I am glad to hear that you had such a family event. Sounds very special. It’s also a great opportunity to share family stories and build your family tree.